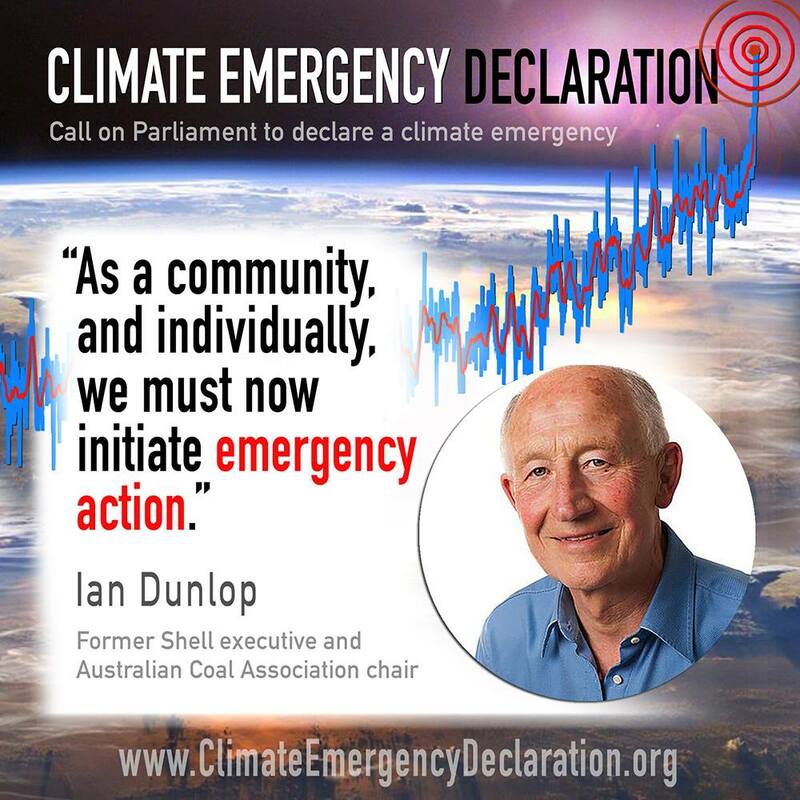 Welcome to our first e-news, and thank you for signing up to receive occasional e-news about the Climate Emergency Declaration and Mobilisation campaign. We originally hoped we’d have 100,000 signatures by the time the election was over, but as you can see below, we still have a long way to go! Please help us reach that number by asking your friends to sign, sharing our Facebook posts, or retweeting our Tweets. 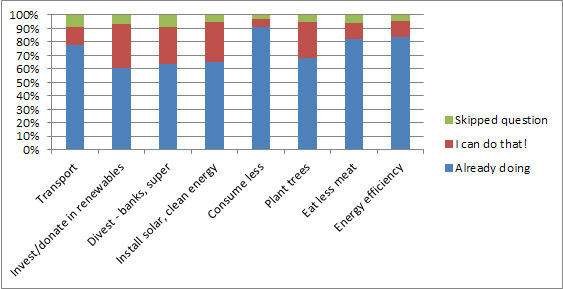 Those of you who signed the ‘Petition + Actions’ petition also reported some of the climate actions you take. The chart below shows the percentage of petition signers taking those actions. This not only tells government how the public is mobilising, but it also shows others what can be done and is being done already. 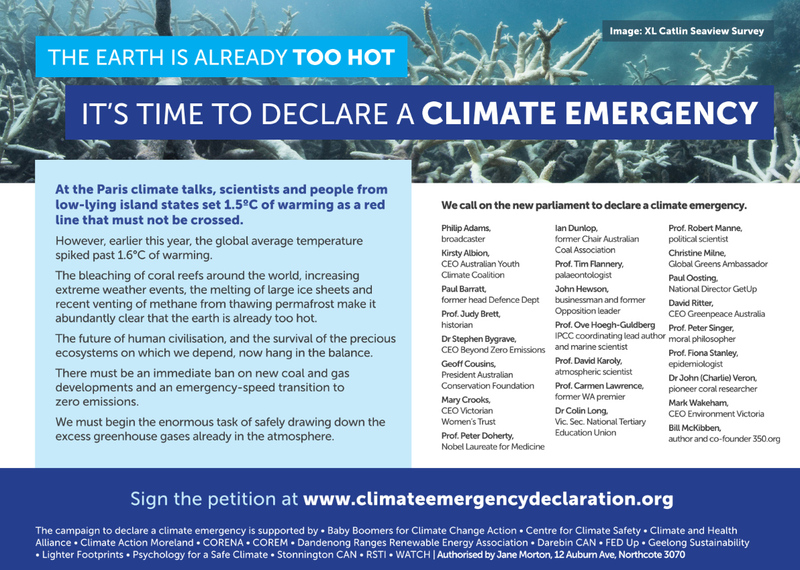 Meanwhile, a number of influential people signed the following Open Letter calling for a Climate Emergency Declaration, published in The Age on June 23. What will a Climate Emergency Mobilisation be like? 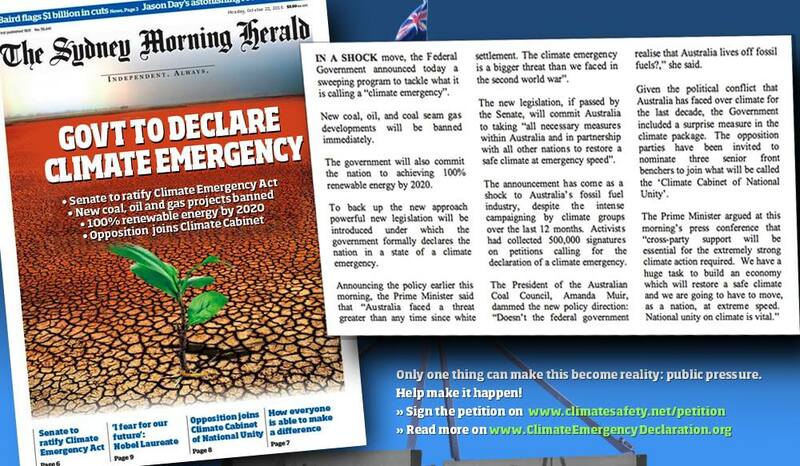 A Climate Emergency Declaration is a top-level ask. 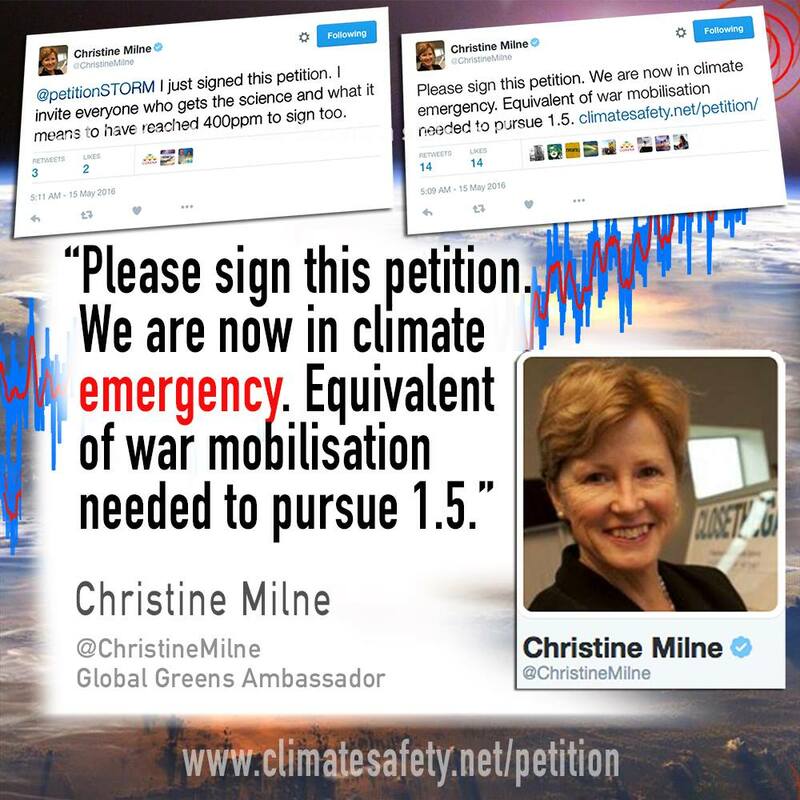 Achieving this would almost automatically achieve many of the current piecemeal climate-related campaign aims. As part of an emergency climate response, one would expect to see an immediate ban on all new coal, oil, and gas projects, and a ban on expansion of existing ones. Fossil fuel subsidies would cease. There would be a very rapid transition from fossil fuels to 100% renewable energy, starting with an orderly closure of our most carbon intensive power stations and assisted by just transition pathways for displaced workers. Forests would be protected and reforestation projects would commence, and rapid carbon drawdown methods would be investigated. 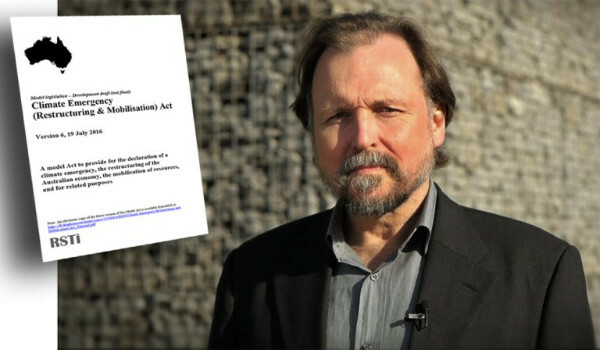 Philip Sutton has drafted model legislation for a Climate Emergency (Restructuring and Mobilisation) Act. Such legislation would provide the Australian Government with the legal powers and planning machinery needed to restructure the economy and mobilise resources in order to restore a safe climate and safe ocean pH. Hosted by the Sustainable Engineering Society, Sydney. 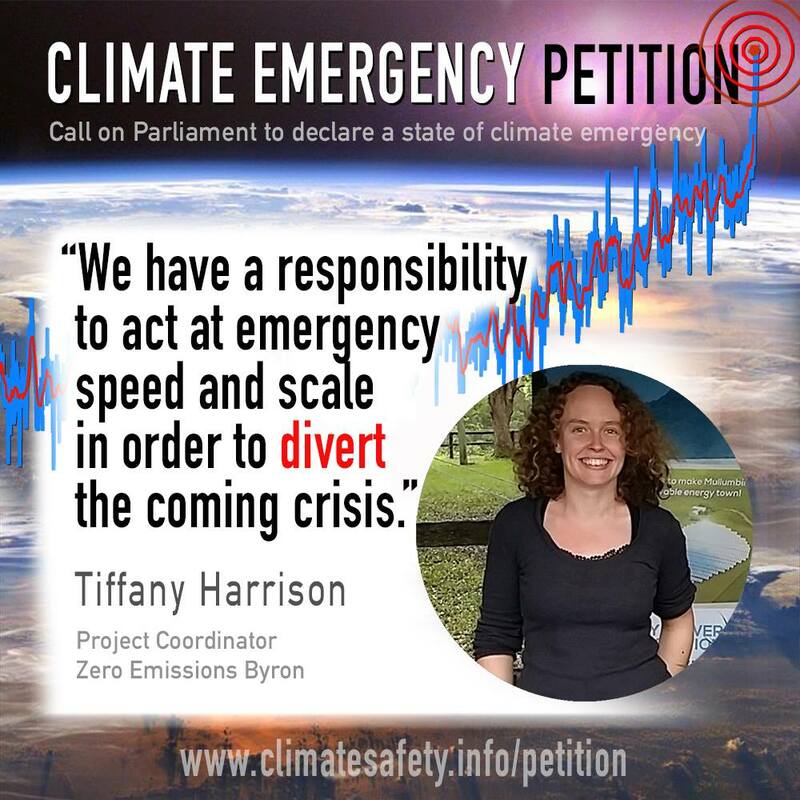 Finally, if you’d like to help work on the Climate Emergency Declaration campaign in some way, please consider joining the closed Facebook group where we discuss strategies and organise projects. 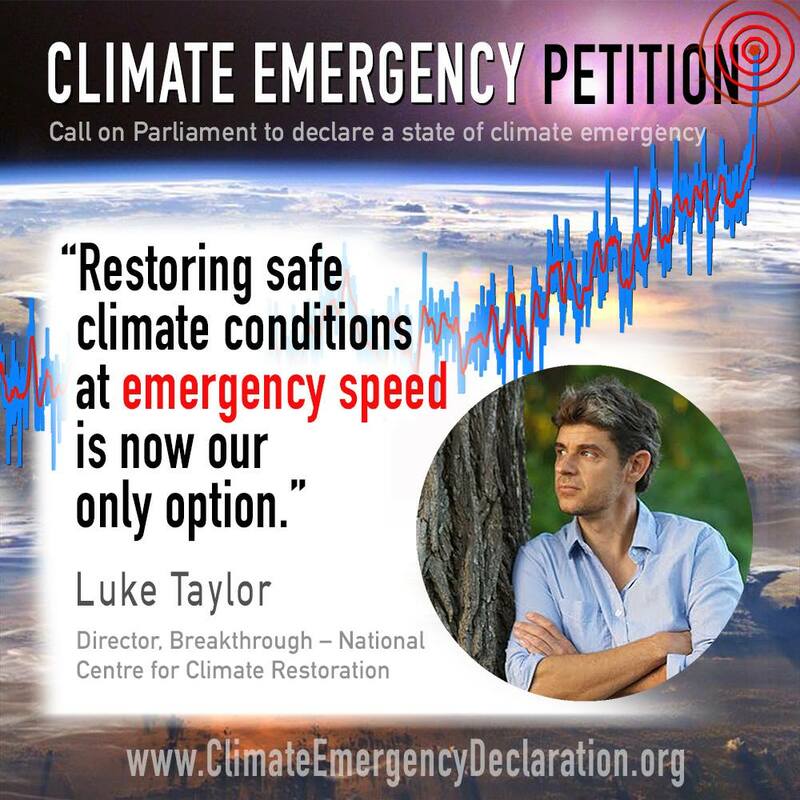 Philip Sutton has drafted model legislation to support a Climate Emergency Declaration. See more here. 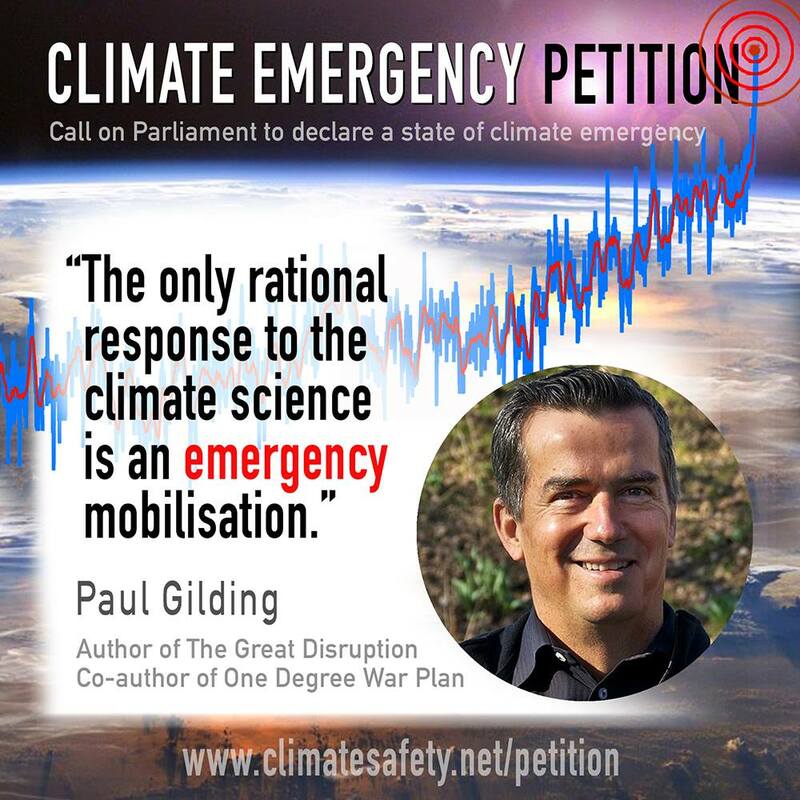 Copyright © 2016 Climate Emergency Mobilisation, All rights reserved.